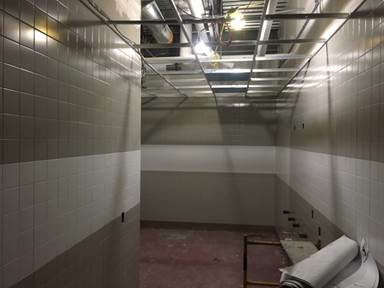 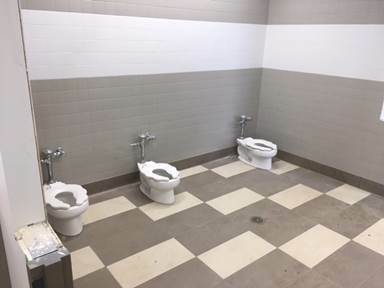 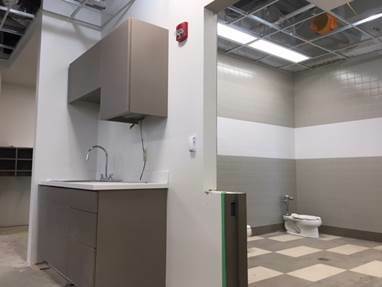 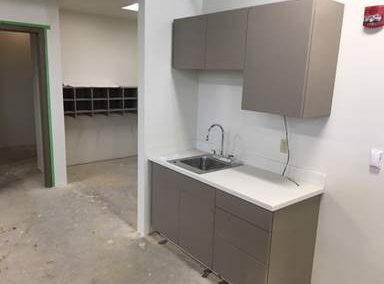 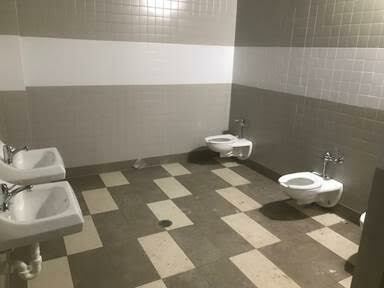 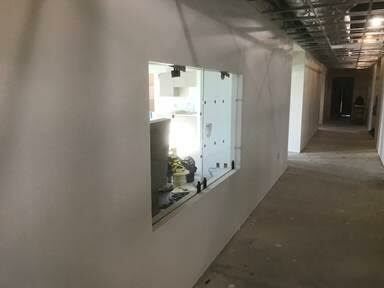 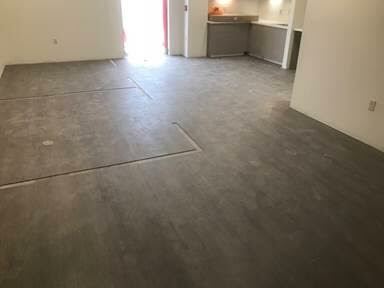 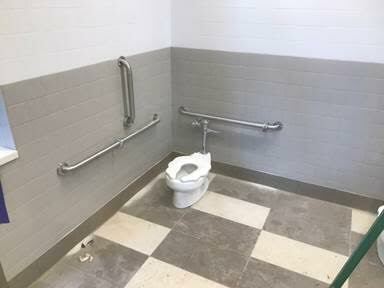 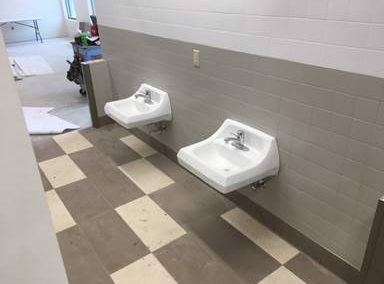 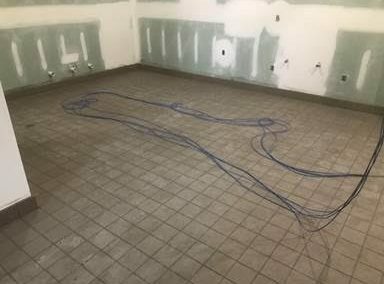 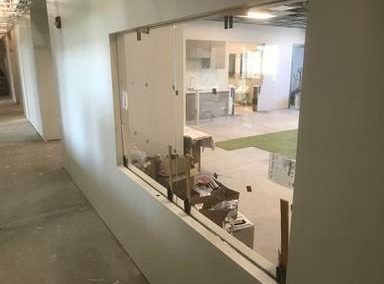 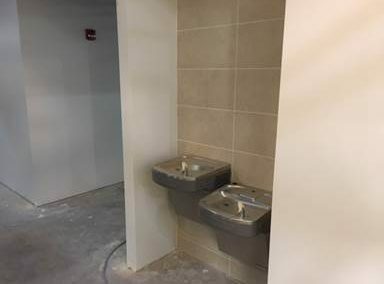 We installed bathroom fixtures and drinking fountains, and continued ceramic tile in the bathrooms on 2nd floor. 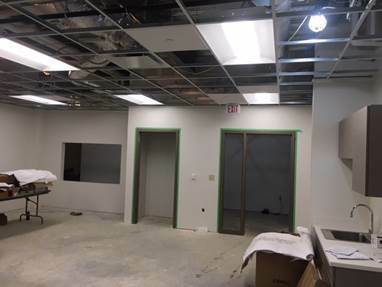 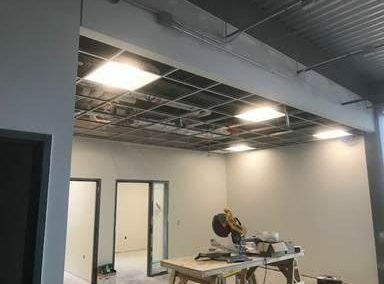 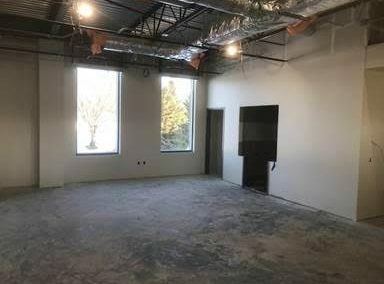 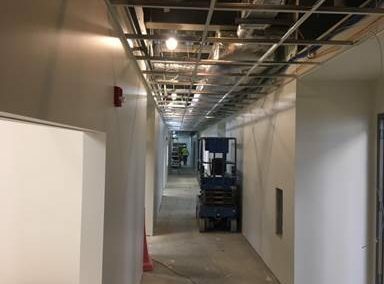 We also installed light fixtures, got permanent lighting turned on, and continued to install casework and ceiling grid. This month we continued to paint 2nd floor and install bathroom fixtures 2nd floor. 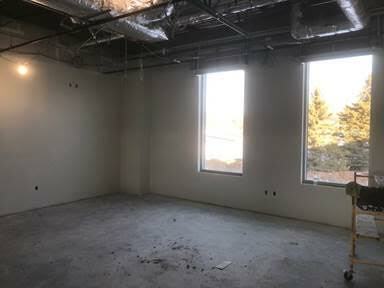 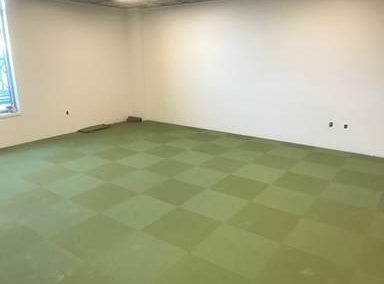 We started to install the carpet on 1st floor and also installed the interior windows and bathroom accessories. 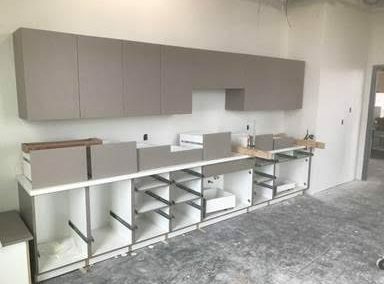 We also started to install casework on 2nd floor.